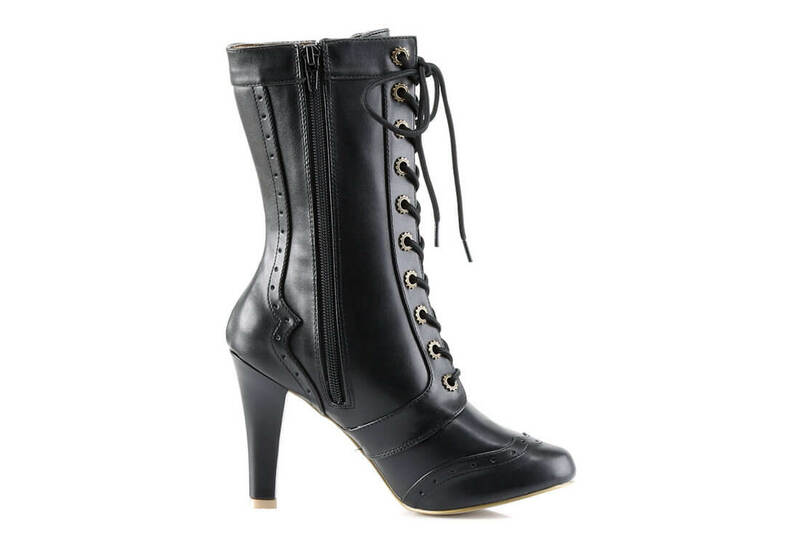 Black vegan leather lace-up steampunk boots with a 4 inch heel and hidden platform. 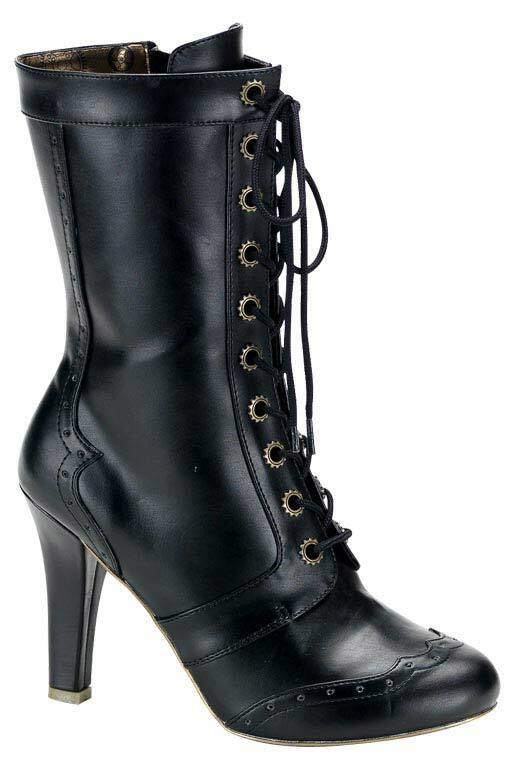 The 10 eyelet front has really cool gear eyelets and comes with a full side inner zipper. 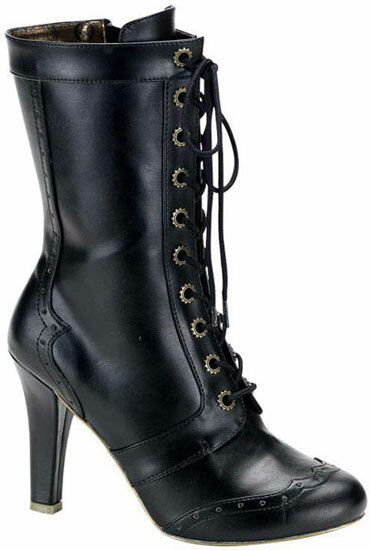 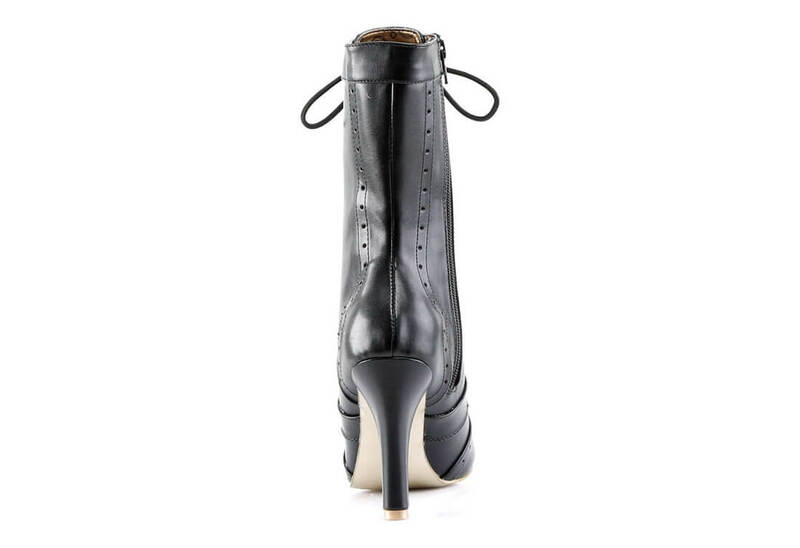 These boots also have perforated decorative trim on the toe and heel.